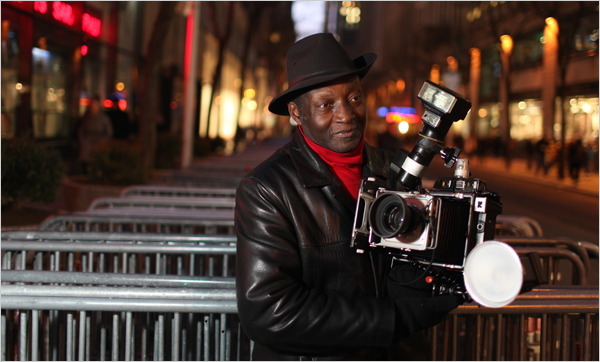 A few days ago the New York Times ran the story of Louis Mendes, New York City street photographer. At age 70 he does what he has done for forty years. He creates portraits with a Speed Graphic and Polaroid film. While others, working the same crowds, require crews just to round up people and find paying customers, Mr. Mendes is able to work on his own, do very well, and charge twice as much. What sets him apart is his experience, presentation, and control of his craft. He dresses the part, always looking dapper and inviting to his subjects. His product looks different because of his eye and because of the tools he uses. This is not a film vs. digital debate. It’s not a paean for the cameras of yore. Every photographer needs to find the tools that suit his or her goals and style. I found David Gonzalez’s profile of Louis intriguing because there seemed to be some great business lessons in between the lines. These lessons apply whether you are creating $20 street portraits or $200,000 large scale productions. Know who you are and what you do, dress the part as a means of encouraging your subject or your client, put a value on your experience, and have something unique that sets you apart and gives clients a reason to hire you.